Some business owners thought that they could dodge the Plus. After all, didn’t Christian Oestlien, a Google Plus product manager, tell owners to wait? The waiting game is over and it’s time for owners to carpe diem. 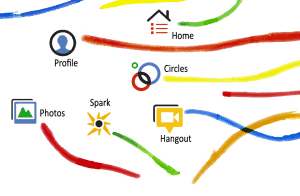 Business owners who join the Google Plus bandwagon will undoubtedly be the pioneers of a revolutionary tool. Unlike in history, these brave souls are not guided by the force of manifest destiny; they are guided by the force of Google. If a business depends on the internet, then owners should not oppose the force. For instance, Zoe Chace of NPR recently reported on how Mitch Lieberman of One Way Furniture, a solely online furniture store, lost two-thirds of his customers thanks to Google’s latest Panda update. The Panda algorithm’s mission was to destroy poor and copied content by demoting a site’s page rank. Luckily, Google Plus offers an array of marketing weapons that will not only help owners avoid another kung fu Panda smackdown, but it offers tools that will empower business owners to be victorious of future Panda-like updates. A tool that is no longer just to RSVP, Google Plus’ +1 feature is a tool that facilitates the sharing of content to the Google masses. This tool allows business owners to see the interests of their constituents and what their customers recommend to friends and family members. The +1 feature can even help business owners find new clients. When a potential customer is searching for keywords related to a business, a company with multiple +1 will appear in the search engine. Google Plus gives business owners the opportunity to get to know their customers in other ways. Ripples will enable owners to see the reach of their marketing and where their content went. Owners can also track the analytics of a Google Plus page to get demographic information or to learn more about a user’s activities. This key information will allow companies to target their marketing strategy and possibly revamp the current strategy. Brian Clark of Copyblogger notes how Google Plus will be the leading platform for content marketing because its setup is “’the voice of the people ‘” focused. Google Plus’s hangouts and circles are customer friendly; these features narrow the gap between companies and their customers. Not only will owners learn about their customers, but Clark notes how, “Google will now have direct indications that you’re putting out quality stuff.” too. When companies earn major brownie points from Google Plus, the force of Google will do a lot of the marketing for a business. Article written on behalf of Cash for old cars San Diego, a company that helps you sell junk cars.